As you get older and want to maintain your health, it is important to focus on the kinds of food you need for your body type and any medical concerns and not just how many calories you consume or achieving an ideal weight. For example, older people who don’t get enough of the right nutrients can be too thin or too heavy. Some may be too thin because they don’t get enough food, while others might be overweight partly because they get too much of the wrong types of foods. Likewise, people with certain medical conditions might find it necessary to limit certain types of foods or follow a specific diet (e.g., no concentrated carbohydrates, low sodium, low fat, low cholesterol, low potassium). Malnutrition is a real problem for older adults. A recent study showed that more than half of American seniors seen at emergency departments are either malnourished or at risk for malnutrition. Of those who were malnourished, more than three-quarters said they had not been previously diagnosed with malnutrition, the study authors found (HealthDay News). Malnutrition, which can be caused by eating too little food, too few nutrients and digestive problems related to aging, can lead to fatigue, depression, weak immune system, anemia, weakness, and digestive, lung and heart problems, as well as skin concerns. Older adults may eat less often or eat only those foods with a distinctive or strong flavor. As we age the intensity of taste and the ability to identify different tastes diminishes. While older people tend to maintain the ability to detect sweet taste, we have more difficulty detecting sour, salty and bitter tastes. Other factors that affect taste include dentures, medications and smoking, while problems with digestion and medication interactions can also affect our diet. As we get older, calorie needs change due to more body fat and less lean muscle. Less activity can further decrease calorie needs. The challenge for older adults, especially for those who are overweight, is to meet new and higher nutrient needs than when younger yet consume fewer calories. For example, older adults require increased calcium to stay bone healthy. The answer to this problem is to choose foods high in nutrients in relation to their calories. Nutrient-rich foods supply vitamins, minerals, protein, carbohydrates, fats and water and keep your muscles, bones, organs and other parts of your body healthy. Beyond getting enough nutrients, eating the right foods may reduce the risk of heart disease, stroke, type 2 diabetes, bone loss, some kinds of cancer and anemia. If you already have one or more of these chronic diseases, eating well and being physically active may help you better manage them. 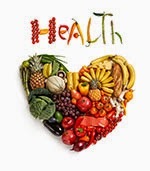 Healthy eating may also help you reduce high blood pressure, lower high cholesterol and manage diabetes. As we get older, digestive secretions diminish markedly. Adequate dietary fiber, as opposed to increased use of laxatives, will maintain regular bowel function and not interfere with the digestion and absorption of nutrients, as occurs with laxative use or abuse. The National Institute of Health (NIH) provides guidelines for how many calories an older adult should consume. The NIH provides a diet that is a mixture of nutrient-dense foods that are low-calorie. It contains vitamins, minerals, complex carbohydrates, lean protein and healthy fats. Vegetables, fruits and grains offer important vitamins and minerals to keep your body healthy. Most of these foods have little fat and no cholesterol. They are also a source of fiber, which can help with digestion and constipation, and may lower cholesterol and blood sugar. They also provide phytochemicals—natural compounds such as beta-carotene, lutein and lycopene—that can promote good health and reduce the risk of heart disease, diabetes and some cancers. In addition, vegetables, fruits and grains contain antioxidants, including vitamins C and E, which can protect cells in the body from the damage caused by oxidation. Antioxidants are thought to promote health and to possibly reduce the risk of certain cancers and other diseases. Grains: Any food made from wheat, rice, oats, cornmeal, barley or another cereal grain is a grain product. Approximately one ounce of grain foods counts as a serving. This is about one slice of bread, roll or small muffin. It also equals about one cup of dry flaked cereal or a half-cup of cooked rice, pasta or cereal. At least half (3 ounces) of the grain foods you eat per day should be whole grains, which are a major source of energy and fiber, rather than refined. Other whole grains include popcorn, brown rice, wild rice, buckwheat, bulgur and quinoa. Protein helps build and maintain muscle and skin. As we age, protein absorption may decrease, and our bodies may make less protein. However, this does not mean protein intake should be routinely increased, because of the general decline in kidney function. Excess protein could unnecessarily stress kidneys. For instance, 3 ounces of cooked, regular ground beef (70% lean) has 6.1 grams of saturated fat and 230 calories. Three ounces of cooked, extra-lean ground beef (95% lean) contains 2.9 grams of saturated fat and 164 calories—and more protein, too, 19.46 grams of protein vs. 21.94 (from the U.S. Department of Agriculture’s Agricultural Research Service). Beans, including pinto beans, kidney beans, black beans, chickpeas, split peas and lentils, tend to be low or lower in saturated fats, and provide fiber. Another source of protein is nuts and seeds. One egg, one-fourth cup of cooked dry beans or tofu, one tablespoon of peanut butter or a half-ounce of nuts or seeds equals 1 ounce of meat, poultry or seafood. Be aware that peanut butter and nuts are very high in fat, though mostly good fat, so should be eaten in moderation. Older adults need 1,200 mg of calcium a day. Low-fat or fat-free dairy products, including milk, yogurt and cheese, provide calcium and vitamin D to help maintain strong bones, as well as protein, potassium, vitamin A and magnesium. Nondairy sources of calcium include broccoli, almonds, kale, canned fish such as salmon and sardines, and calcium-fortified tofu or soy beverages. Choose sweet dairy foods with care. Flavored milks, fruit yogurts, frozen yogurt and puddings can contain a lot of added sugars—empty calories that provide little in the way of nutrients. Salmon, sardines and tuna provide vitamin D, while some cereals and juices are fortified with extra calcium and vitamin D.
On the other hand, fat contains more than twice as many calories as protein or carbohydrates, and increases your risk of type 2 diabetes, heart disease and other health problems, so you should aim to limit fats to 20 to 35 percent of your daily calories. For instance, if you eat and drink 2,000 calories daily, only 400 to 700 of the calories should be from fats. The number of calories from fat in a serving of packaged foods is listed on the Nutrition Facts label of the package (see sidebar, “How to Read the Nutrition Facts Label”). The best fats are polyunsaturated and monounsaturated fats from vegetable oils such as soybean, corn, canola, olive, safflower and sunflower. Polyunsaturated fat is also in nuts, seeds and fish. The worst kinds are saturated fats and trans fats, which increase the risk for heart disease. You should consume less than 10 percent of calories from saturated fats, which are found in red meat, milk products, including butter and palm, and coconut oils. Common sources include regular cheese, pizza, grain-based desserts such as cookies, cakes and donuts, and dairy desserts, such as ice cream. Processed trans fats are found in stick margarine and vegetable shortening and are often used in store-bought baked goods like pastries, crackers and candy and in fried foods at some fast-food restaurants. To help you choose the right foods, MyPlate for Older Adults offers examples of good food choices and physical activities for older adults who want to stay healthy. Eating Well: Best Diet for Older Adults was featured in the November 2014 Senior Spirit Newsletter.